If ever there was a broadcast to sum up how the Bundesliga TV ratings are doing in the United States, this past Saturday was it. Starting at the same kickoff time of 12:30pm ET, FOX had Bayer Leverkusen (starring Chicharito) against Bayern Munich (Germany’s number one team). On NBC, another terrestrial network, the game was Southampton versus West Ham United. But as we revealed Monday, the ratings for the Bundesliga game were a disappointment. On the English-language broadcast featured on FOX, the Bundesliga had a 0.33 overnight rating compared to an 0.56 score for the Premier League game on NBC. We won’t know the complete numbers until Thursday, but the short of it is that the Bundesliga failed to live up to expectations. People forget that the Bundesliga has been on FOX Sports before. 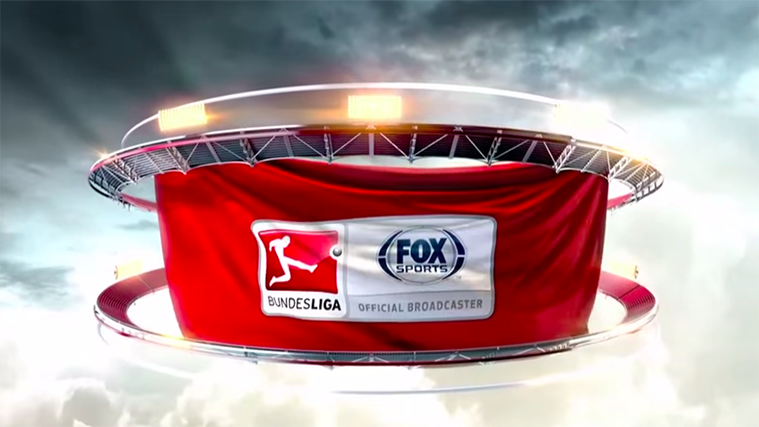 From 2004 to 2006, Fox Soccer Channel featured Bundesliga matches including games on Saturday mornings featuring commentary by Max Bretos and Allen Hopkins. Fox Soccer Channel’s coverage of the Bundesliga competed with the Premier League on the same network. FOX continued its coverage of the Premier League until the end of the 2012/13 season before it lost the rights to NBC. While the Premier League continued to grow from strength to strength, the Bundesliga made the wrong bet by selling its TV rights to GolTV in 2007. GolTV retained the Bundesliga rights until the end of the 2014/15 season before they were handed back over to FOX Sports, but by that time the damage had been done. The Bundesliga found itself way behind the Premier League, and was playing catch-up. But by claiming, as many have done, that the Bundesliga has never been on US TV before shows a complete lack of understanding of the history of the league in the US. By the Bundesliga signing a worldwide deal with FOX Sports, it’s on the same stage as the Premier League, so it’s quite right to compare the two. Fox cannot be trusted with soccer. Period. They are on the same stage throughout the world. In fact, the Bundesliga is currently ranked higher in the UEFA country coefficient, and has substantially higher average attendance. 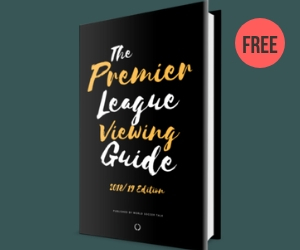 But in the USA – a country where people primarily speak English, and that arose from a series of British colonies – the Premier League is always going to be more popular. People in the USA associate England (and London, and Manchester, and Liverpool) and English supporters with football much more than they do Germany. That’s not likely to change anytime soon. I love how this whole thing has turned into some “failure” of the Bundesliga and the DFB to turn German football into the most popular sport in the USA. German football fans are just happy that the games are on TV more reliably and more regularly. Compared to the last couple years of Gol! TV, we’re in a great place right now. If casual fans and first-timers want to watch, great. If they don’t … you know what, I don’t care about proselytizing to fans of other sports and other leagues. I love the energy and the speed and the skill level in the Bundesliga. If other people like other sports and other leagues, then good for them. Why? I’ve never heard anyone sufficiently explain this. Why does the Bundesliga NEEEEED more TV money? So we can keep Manchester United from “raiding” Bayern for 31-year old midfielders with surgically reconstructed knees? Yeah, that’s been a true disaster for Bayern, hasn’t it? German football will never as popular as English football so to try is just pointless. English culture is more globally relevant so English football will always be the most popular football in the world. German football in Europe, Asia, Africa, South America and Australia has always been the 4th or 5th most popular league to watch. Why Bayern and the head of the Bundesliga deluded themselves into thinking they could be as popular as the EPL astounds me. I think they Thought because German football was the first European football to be shown in America in the 1970s, they could just come to America and take over. German culture isn’t relevant outside of Europe and this is why German football far less popular than the English, Spanish, Italian and even French league on most continents. Fox were just stupid for purchasing a minor property for so much off the back of the all German Champions League final. It is clear they paid too much for it and it is a mediocre property that doesn’t deliver viewers. The fact Fox tried to bid for the Premier League again shows how they regret signing the deal for the BL. you make yourself a prey of media right? EPL only getting more popular because their money which come from foreign investor.quality-wise they are below of spanish league. bundesliga even play more sophiscated football than BPL.the reason why coaching in BPL harder is because they play kick n’ rush there with too much physicality but less technique. you see that many BPL team try to park the buss when they fight barca,madrid,bayern,or real. trying to play attacking football against other european league big team is useless because they’re even more talented in that subject than any BPL team. Agree with the question about La Liga. Honestly, it isn’t the type of league that needs to have every match shown. Would be perfect for a network to show 2 or 3 games (just show the big 3 teams) a week. But BeIN and La Liga need to come to the realization that for both to grow in the US, El Classico needs to be on a mainstream network. This is not to disparage the excellent coverage BeIN does, but that 2mil number would be several multiples of that number if it simply wasn’t on BeIN. This isn’t without precedent in sports. Indycar still has the Indy 500 on ABC while the most other races are on NBCSN. I know this would be a tough pill to swallow for BeIN, but it would generate interest in La Liga in general (and then BeIN) if more eyeballs could see it. Bein Sports will not give up there rights to El Clasico that is the only game that drives up subscriptions for them. The problem is when Real Madrid and Barcelona don’t play each other they only get a quarter of the viewership globally. They are not going give up their crowd jewels for extra exposure. What you have to realise is Bein Sport is owned by Qatar Foundation, the biggest sponsor of Barcelona and part of the that agreement is to make sure they keep the rights to La Liga around the world. Bein sport pays more for La Liga rights than any other broadcaster so they are never going to give up that game. It’s because scheduling conflict. Both CBS and ESPN have NCAAF and NCAAM coverage from sept. all the way to March, it is unrealistic that they buy La Liga’s right and only broadcast a few matches late in the season. Other reasons are, unlike the EPL, La Liga’s viewership heavily relies on Hispanic viewers. and arguably the lack of competitiveness compare to EPL as there’s always the same two teams competing for the title. As for FOX, I can see they only want Bundesliga to fill up some air time between March and May, prior to their Baseball broadcast begins, for that reason, the price of Bundesliga is right and there’s very little competition besides GolTV. I don’t agree with the reporter that the Bundesliga is a better product with better football than the EPL. When an average EPL player like Chicarito is dominating the BL and the German Captain and former star of the Bundesliga Schweinsteiger looks an average player in the EPL, you can clearly see the level of football in England is much higher. Even Klopp said coaching in the EPL is more difficult than the Bundesliga because the individual quality of each player in the Premier League is much higher and tactics less influential against EPL teams where every team has a gamebreaker. 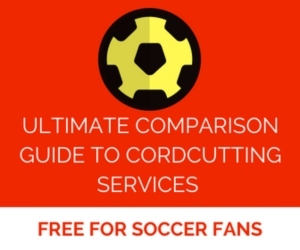 You can watch the Premier League and Bundesliga side by side and clearly see Premier League players are bigger, more athletic and the football is much faster and that is the part of the appeal of the EPL that it is soccer at it’s most athletic that appeals people in America and all over the world. Bayern are the only team I would say is better than English teams, but you can’t sell a league with one quality team. There was also an article about the Premier League feeling the reason they get far more money from TV companies around the world is because the crowds in England are far more diverse than crowds in other European leagues. In EPL soccer crowds you see white faces, black faces and Asian faces of different religious too, so that makes the EPL more inclusive and appealing to more racially diverse countries than mainland Europe. Yes Germany might have large crowds jumping up and down, but the faces are all white and this means German football doesn’t connect to people outside of Europe. The sight of Black, White, Hispanic and Asian fans in an Arsenal kits hugging and cheering goal together is a more powerful imagine globally than 40,000 white german males jumping up and down in Dortmund. Serie A, La Liga and the Bundesliga know this is true because now you are starting to see long and awkward shots of the few minorities at games in La Liga, Bundesliga and Serie A, to give the illusion of diversity, but when the pans out you see they are the only minority in the crowd, while in England that diversity is more organic and natural. I think the EPL is the league that has done the most to dispel the American myth that soccer is rich white person’s sport, because the crowd is so diverse. So many American players from the NFL, NBA and MLB travel to England to watch games now it is ridiculous. Well then why does Germany have a higher UEFA coefficient than the England? In the last 3 years, there have been 12 total CL semi-final spots. Germany has had 4 of them, England has had 1. England didn’t even have anyone in the quarter-finals last year. If they’re so much bigger, faster, and more athletic, why don’t they come close to winning the Champions League? Or at least getting to the quarter-finals? And why did Germany win the World Cup, when England scrubbed out and embarrassed themselves? Again? The problem with the coefficient for the EPL is that they don’t take the Europa L seriously. Every year it’s weak teams that get sent out. So the EPL coeff is all about the CL. In the last 10 years EPL has had the most number of CL finalists. Yeah, but zero in the last 3 years (2 for Germany and 3 for Spain during that time). And only 2 in the past 6 years (4 for Germany and 4 for Spain during that time). And none of them look especially threatening this year. Can’t milk that past decade forever, mate. Stop being very selective in your information. Might I remind you England has won double the amount of European trophies German teams have won in the last 4 years. Coefficient means nothing about quality because as someone pointed out the lower quality Europa League carries the same amount of coefficient points as the Champions League. English teams don’t take the Europa League seriously so play weakened teams. So teams from Germany and Italy can rack up coefficient points in the weaker competition without performing well in the Champions League. The truth is if Bayern didn’t exist with their Bundesliga All-star team, Germany would have a coefficient ranking below, France, Portugal and Ukraine, no other German team is good enough to win any trophies in European football. English teams might not be best but they can compete. Man City gave Barcelona a tougher game last season than Bayern did that year in the Champions League and Barcelona ran away with the Champions League. Well, maybe they ought to start taking it seriously, and stop fielding weakened teams. Before they lose their fourth CL spot to Italy. Which, by the way, is going to be hilarious. There’s no “might not be.” They are, demonstrably, NOT the best. That’s why there’s a UEFA coefficient, to answer that question. Spain are the best, Germany second best, and England third. And falling fast. Pfff. “Gave ’em a tough game?” No1curr. Come talk to me when Man City actually win something. Borussia dortmund is better than every EPL team this year and will most likely win tje Europa League. Even the English bookmakers have Dortmund as heavy favorites over their domestic power houses Man U, Liverpool, and Tottenham, who are all taking the competion seriously this year due to the winner getting a CL team. And even if you look at pasr seasons, Dortmund have finished higher than Arsenal in two group stages and once with Man City. Bayern isnt the team that can take on EPL teams. who cares? it’s soccer – the most boring, un-American sport in the world. no one in the U.S. cares about it, ever has, or ever will, outside of white, privileged hipster douchebags/eurosnobs. it’s for pansies and people who can’t handle the obvious superiority of real AMERICAN sports like football, basketball and baseball. if you’re a fan of soccer, you’re probably a communist and/or a terrorist! i can’t see wether this guy is trolling or not. The guy is trolling.5 times as many people around the world watch the EPL every week than the Super Bowl. So that puts the NFL in it’s place. By the way might I remind this guy who says soccer is un-American, the after the Super Bowl, the soccer World Cups are the next most viewed sporting event on American TV. NFL – you mean that you spend your Sundays watching endless TV adverts? Good for you. Can we get a follow-up how Fox has basically given up on the Bundesliga as a mass-market TV opportunity and is instead trying to push its $20/mo. FSG package on Bundesliga fans? How else can you explain all the big games being shown on the for-pay package? T makes a good point. On Saturday, Dortmund is hosting Bayern Munich in what should be one of the years best Bundesliga matches. The game is on at 12:30. However it is only available on Fox Soccer Plus. NBC is running Watford vs Leicester at the same time – although that is a great match and important for the title, Bayern Munich and Dortmund are globally the better known clubs. Following up on my last post, it looks like Fox Broadcast and FS1 are both showing college basketball at noon on Saturday. Fox Broadcast is showing Georgetown vs Villanova, and FS1 is showing Providence vs St. Johns. FS2 is showing Nascar Qualifying. I can’t blame Fox for showing college basketball over non-Chicharito Bundesliga games.